The Arizona Coyotes have signed centre Christian Dvorak to a six-year contract extension averaging $4.45 million per year. 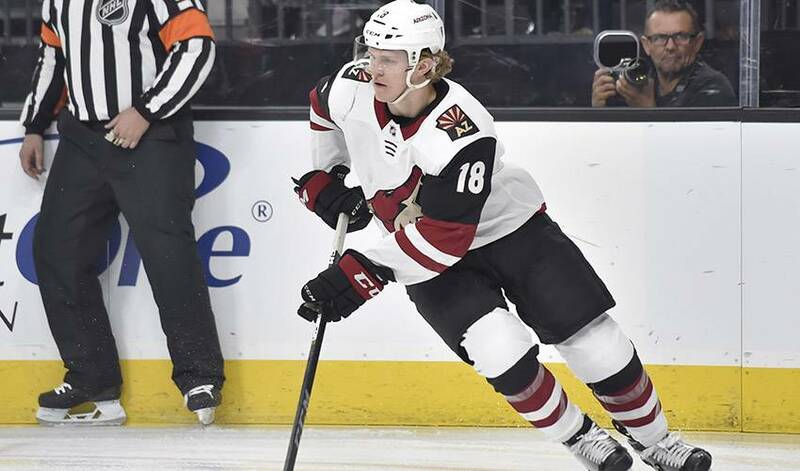 GLENDALE, Ariz. — The Arizona Coyotes have signed centre Christian Dvorak to a six-year contract extension averaging $4.45 million per year. The deal, announced Thursday, will keep Dvorak in Arizona through 2024-25. The 22-year-old Dvorak was Arizona's third-leading goal scorer with 15 last season and fifth in points with 37. He has 30 goals and 40 assists in 156 career games with the Coyotes. A native of Palos, Illinois, Dvorak was selected in the second round of the 2014 NHL draft. Dvorak's deal comes after the Coyotes locked up defencemen Oliver Ekman-Larsson and Niklas Hjalmarsson and forward Michael Grabner. Antoine Vermette has announced his retirement today from the National Hockey League (NHL) following 14 seasons. Is there any doubt the crafty Clayton Keller is worthy of being selected for the 2019 NHL All-Star Game? It was trial by fire for Adin Hill, who responded with three straight wins and his first NHL career shutout after being summoned to action Tuesday by the Arizona Coyotes. Although he won’t take top prize in an Iron Chef competition, the 24-year-old forward definitely knows his way around a kitchen. The embarrassing find on his playlist and the NFL team you can find him cheering for in this week's Player Q&A with Max Domi! A pair of NHLPA members, Minnesota Wild’s Charlie Coyle and Arizona Coyotes Derek Stepan, were only too happy to hand out top grades during Teacher Appreciation Week.